You know that power that lies within you, that strength that you have to run a home, multitask, juggle various jobs, that leadership quality you have in your family, guiding the mothership through life’s challenges. You are strong, you have just forgotten you are. I know dear, those phenomenal skills come at a cost. A cost of your own emotional, spiritual and physical health. It’s time to slow down and recognise your worth. Imagine the family without you, without your strength, organisation, attention to detail, compassion and love. It would be a mess! Pat yourself on the back and sit down. Let me guide you to what you are feeling, why and how to change it. As a women’s self-esteem coach, most of my clients that are mothers come to me feeling lost, worn out and like life has beaten them. Why is today’s mum so disempowered and what can we do about it? They are constantly striving to have the perfect body post-baby, reach that 7.5 stone target while still breastfeeding and back in their skinny jeans just 4 weeks after a cesarian. Chasing that dream of being a successful womenpreneur with a trail of employees, with the money rolling in as you juggle ensuring organic, clean food is on the table and the nanny is emotionally conscious and present with your kids. It’s exhausting and it’s wearing you out. It’s ok to feel, to be vulnerable, admit defeat. You don’t have to be any of these things. You are enough, you do enough. I say, ‘enough is enough’ and it’s time to stop chasing what society is pushing us to believe we must achieve in order to feel success as a mum. There is a lot of shame around admitting your struggling with being a mum, which makes it very hard with so many expectations of us in modern society. Do you know that back in the day when we lived in tribes, the mother would stay at home, nurture her baby, nurture herself while the aunts, sisters, friends, grandmother’s stepped up to ’support’. Yes that word ’support’, it’s ok to use it, the word and the act. There is no shame in having a nanny, live in, live out, au pair, mother’s help, granny daycare, auntie daycare – whatever form it comes in, it’s ok to receive it and to feel guiltless about it. Stop feeling guilty about it and stop beating yourself up. Write down why it ‘feels’ right, check you are happy with the setup and then let it go. Give it no more thought. Stop chasing what society is telling you. If you are happy at 10 stone, then that’s ok. If you enjoy doing exercise but it doesn’t come in the form the health magazines say, who cares! As long as you are active and loving it, that’s all that matters. Follow your gut on what feels right. Don’t be fooled into believing that those celebrities are returning to their bikinis by just ‘breastfeeding’ and running around after their children. This is not real, nor is it healthy or achievable goal. Put down the magazines that are selling you this concept and pick up literature that makes you feel ‘good’ about yourself!! There is also a lot of judgement between females which makes the mumasphere a lonely place to be. Start with supporting your female tribe, let go of judging them and you’ll learn the power of it. When we judge, we are simply highlighting a part of us that needs healing. So when you are judging that mum for her muffin top, you’re showing you that’s where you place your worth. Muffin free = worthy, muffin top = unworthy. Wrong! Muffin or no muffin, you are worthy and so is she. Our weight does not define us. Mother’s think they need a buggy, a sling, a majimix, a vegetable steamer, a multi-task flask that heats your water and cools it at the same time, a nanny, a husband and without those things they can’t function. The paraphernalia that comes with being a mum is unbelievable, you’re sold the concept that without these things, you’ll struggle. Change the way you think, life can be tricky at times and it’s ok to admit that but rather than reminding yourself over and over that your life is a nightmare, how about using words such as ‘today was a challenge.’ You see, we attract what we think and we get what we focus on. When times are a challenge, tell yourself ‘I have phenomenal coping skills’ over and over. Instead of, ‘I have failed, I can’t do this.’ You are not a victim, you are a warrior, leading from the front. You can do this. A big part of my work is educating mum’s on how to take care of themselves whilst taking care of their family. It isn’t selfish to have time for you, it’s selfish not to. The fallout from not allowing this time to reset, refocus and reconnect with yourself is huge. We all know that grumpy, angry, impatient and intolerant mother that is bursting at the seams while she juggles family life, don’t be her. You are not a victim of circumstance, just a victim of your choices. Choose different, choose to make you matter. It starts and ends with you, now show you your worth by investing in you. Let go of the idea that you have to constantly work, grind in order to be successful. Embrace the concept that rest, recovery and reflection are essential parts of the progress towards a successful and happy life. It’s time to support and celebrate the Matriarch. Why? Because, you matter, She matters. -Schedule in some time for you. Self care allows you to reset, refocus and reconnect with yourself and as a consequence, your family. -Support other mothers and females as a whole. We deserve it. We are strong alone but even stronger united. -It’s ok to be vulnerable. There is no shame in being honest, there is no shame in being vulnerable. It’s what makes you human. -Let go of judgement of yourself and others. -Let go of guilt. Stop feeling guilty for not being 7.5stone and in your skinny jeans, stop feeling guilty for not running a multimillion pound company. -Be flexible. Sometimes things don’t go to plan but what harms us is the reaction we have when it doesn’t. How about being flexible and welcoming the alternative because 99% of the time, it works out better. -Stop comparing. There is no benefit comparing yourself to others, chances are you’re not looking at them with a clear eye and are creating a story about why they are enough and you aren’t. Get rid of social media that is creating this mindset of -comparison. You are enough just the way you are. -Work on you – most mother’s are focused on working on their kids which is great but start with you first. When you are clear and calm and without emotional baggage, your children will reflect this. -Speak your truth. Communication is key. If done from a loving and compassionate perspective then it’s ok to voice our disapproval or dislikes. Stop saying Yes when you mean No. Stop people pleasing at the detriment of your emotional health. Let’s take care of your needs every day, not just today. 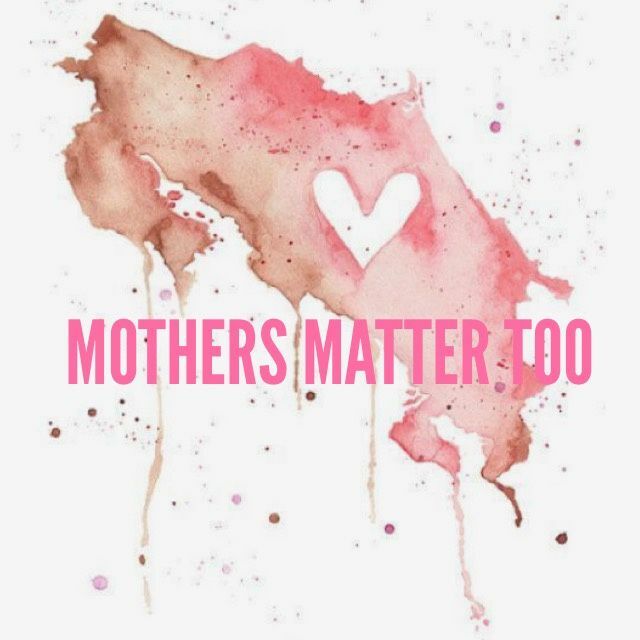 Happy Mother’s Day ladies, you matter.